Cate: Please welcome Anne Patrick. Anne, will you please share a short bio with us? Anne: Anne Patrick, known for her ‘Sweet’ Edge of Your Seat Romantic Suspense, has penned more than a dozen novels that are either published or under contract. Her works continue to receive four and five star reviews from both readers and reviewers, and have been nominated for several awards. 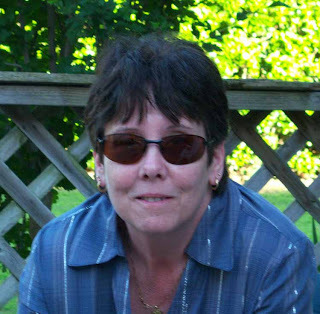 Anne has an alter ego by the name of Kinzie Monroe, who writes Inspirational Romance. Anne, you might say, is the dark side of Kinzie. Anne’s books may be darker in subject matter, but they all carry messages of hope and faith. Born and raised in Oklahoma, she now makes her home in Kansas. Cate: Tell us about Fire and Ash and where it's available. Anne: I’d love to, Cate! 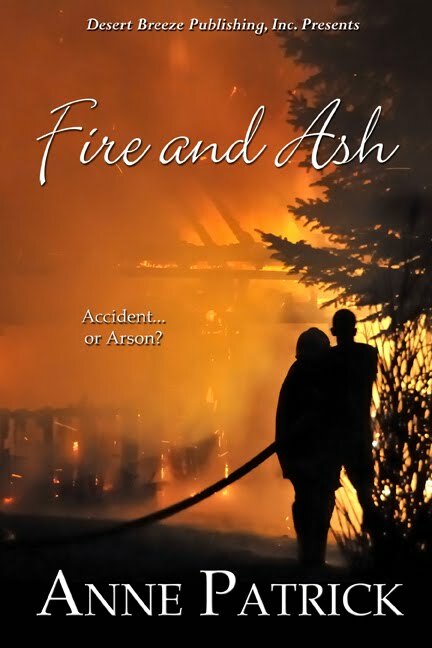 Fire and Ash is about a female fire investigator named Sadie McGregor who has been called in on a suspicious fatal fire in her hometown of Emerald Point Missouri. It appears to be accidental but the answers Sadie and the handsome new police chief discover will not only affect the lives of everyone in town, it could cost Sadie her life. Cate: Please tantalize us with an excerpt. Anne: This scene takes place early into the fire investigation, and takes place between my two main characters. It was late afternoon before they arrived at the address the Ingram's had given them. Quinn parked his truck across the street and glanced up at the three-story brick building. "Third floor, right?" Instead of an answer, Quinn heard Sadie's door close and looked over just in time to see her crossing in front of the truck, as usual, taking the lead. He smiled, grabbed the keys from the ignition, and reached for the door handle. The sound of squealing tires caught Quinn's attention. He looked out his windshield as a black sports car pulled away from the curb. Shifting his gaze to the street, he saw Sadie was directly in its path. He jumped from the truck and yelled, "Look out!" then saw Sadie dive onto the hood of a parked car. Quinn's heart pounded in his chest as he raced across the street. When he came around the front of the car she'd dove onto, he found her sitting with a dazed look on her face. He knelt beside her, "Are you okay?" She blinked her eyes. "I definitely need to visit the gym more often." He chuckled, relieved she was all right and that her humor was still intact. "I don't know I haven't seen a move like that since Starsky and Hutch." "Will I need to call my insurance agent?" He rose on his toes to peer across the hood of the late model Buick and saw a fairly good size dent in the hood. "I'm afraid so." He offered his hand in assistance and she stood on wobbly legs. "Whoa!" She grabbed hold of his arm. He steadied her by slipping his arm around her waist. "Are you sure you're okay?" Beginning with her forehead his eyes worked their way downward. He spotted a dark stain near the left pocket of her jeans. "No you're not. You're bleeding." "It must be my elbow, it's beginning to sting." He gently raised it. Sure enough, blood seeped out of a one inch cut just below the bone. He took both her forearms and guided her backwards to lean against the Buick. "Stay put, don't move." He ran across the street to his truck, removed his first aid kit from behind the seat. When he returned, Sadie was nowhere in sight. Cate: Great excerpt. And what a gorgeous cover! What inspired you to write about the theme? Anne: The idea for Fire and Ash was first planted while watching the movie Backdraft. I love Robert De Niro as the fire investigator and was intrigued by what all goes into finding the answers as to why and how a fire starts. Anne: I’m a character driven pantster, so once I have an idea in mind I focus mainly on the characters. I may have a brief outline of how I want the story to pan out but I pretty much turn the wheel over to my characters and let them tell me where they want to go and how they want to get there. Anne: Most definitely! I live, eat, and sleep with them. I’ve lost count of how many times some of my characters have woke me from a sound sleep to describe a scene for me. Anne: I have another release coming out in November titled Sabotage. I’m also working on the first book in a romantic suspense series I’m writing, and my alter ego Kinzie Monroe is working on another inspirational romance. Cate: Wonderful! Any other published works? 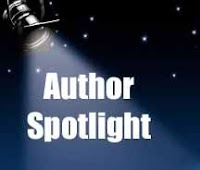 Author: I have two inspirational romances written under the name Kinzie Monroe, and seven romantic suspense books. Anne: The most challenging would be dividing your time between promotion, writing, and life. The most rewarding is hearing from my readers. Anne: I had a couple of readers refer to my stories as ‘sweet’ edge of your seat suspense, so I snagged the phrase for my tagline :-). Anne: Dee Henderson is my favorite. I also like Tami Hoag, Lisa Gardner, Ted Dekker, Iris Johansen and Stephen King. I’m reading a wonderful romance, By Heart and Compass, by Danielle Thorne. Anne: I’d like to thank everyone for taking the time to read about me and I hope they’ll check out some of my works and tell their friends. 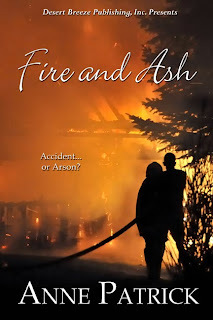 Cate: Readers, Anne is giving away a download of Fire and Ash to a random commenter... so start commenting. Anne will draw the winner’s name on Sunday afternoon and will notify the winner and post the winner’s name here. Thanks for being my guest, Anne! Best of luck with all your projects. Hi Anne, thanks for being my guest today! Every time I look at that cover, I love it more. Anne, your cover art for Fire and Ash is absolutely breathtaking. Thanks for the interview. It gave great insight. I really want to read it. Lovely cover. Neat excerpt. And I really enjoyed the interview. Hey Anne- great story and excerpt. I also live in Kansas.